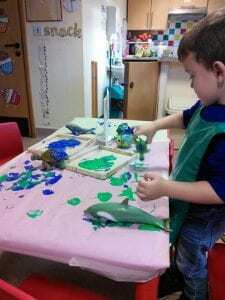 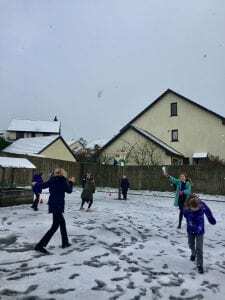 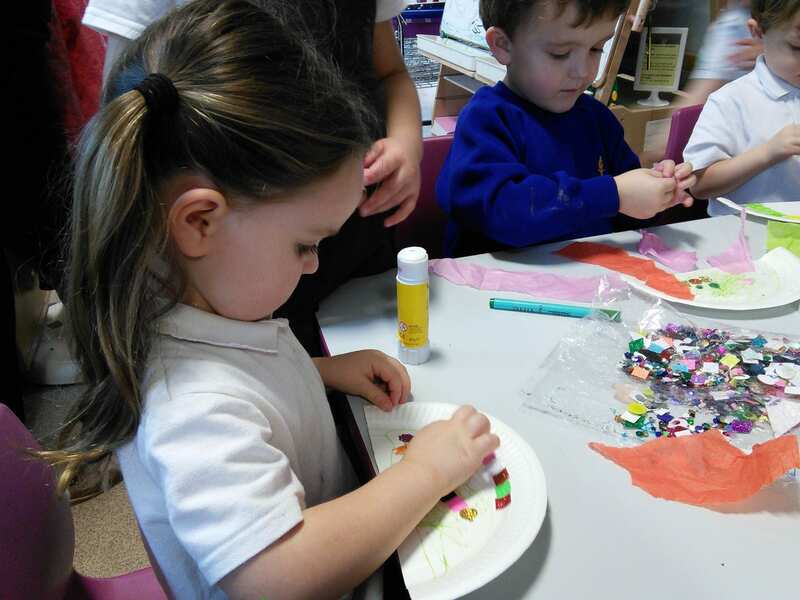 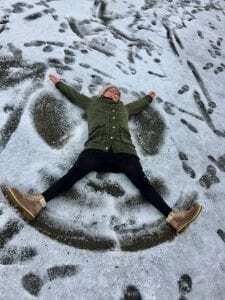 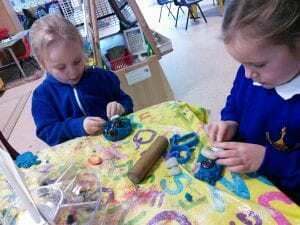 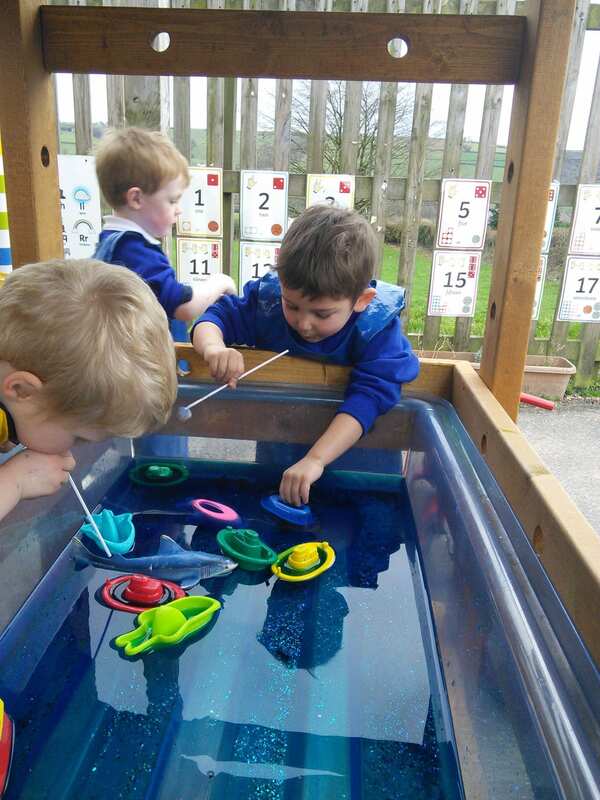 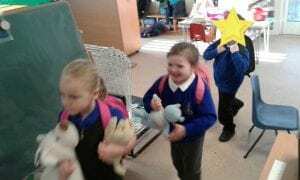 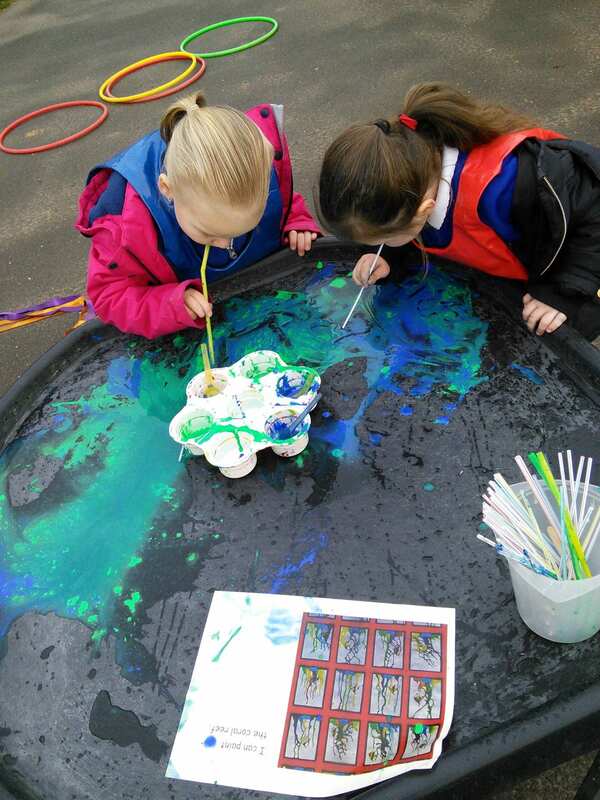 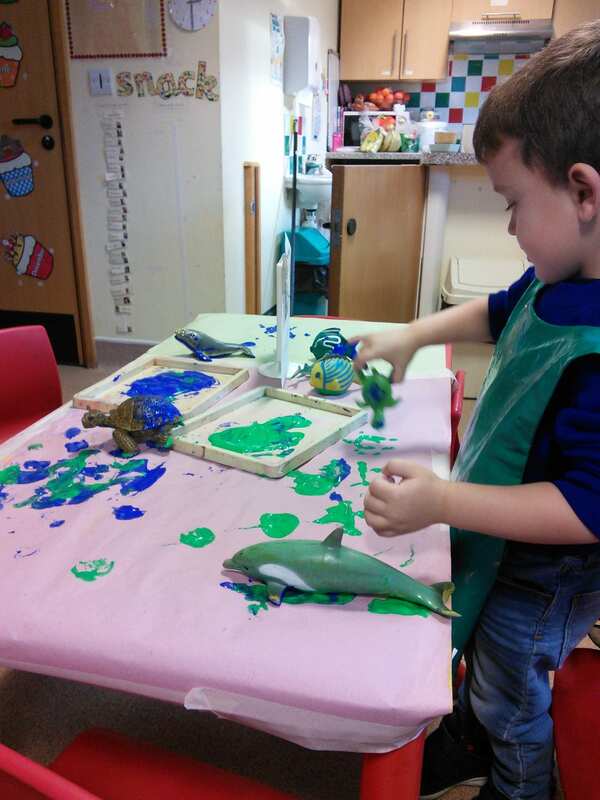 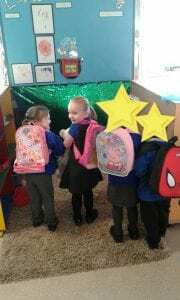 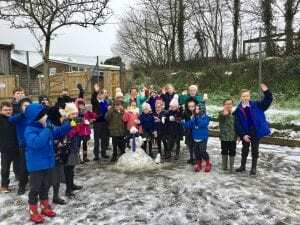 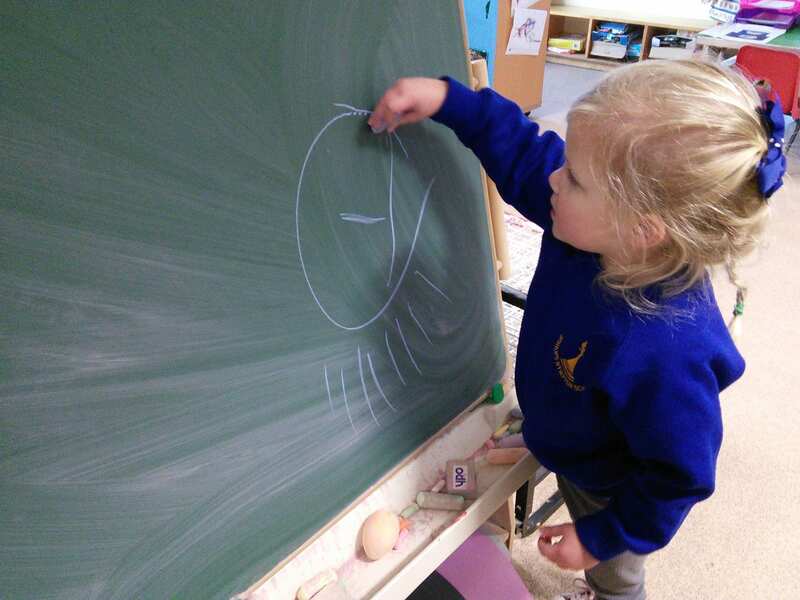 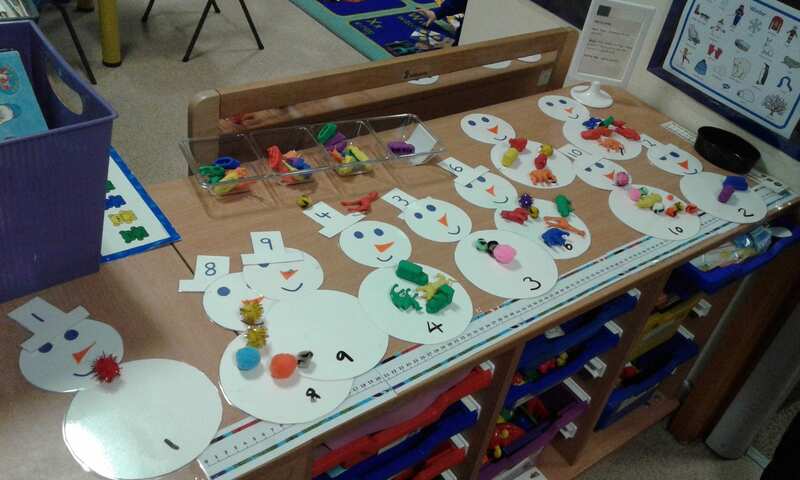 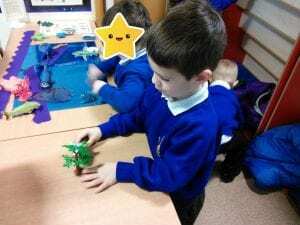 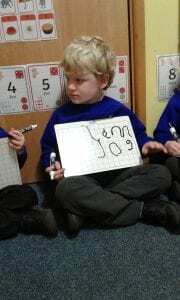 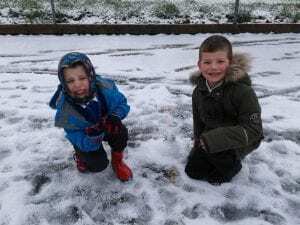 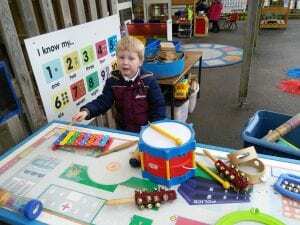 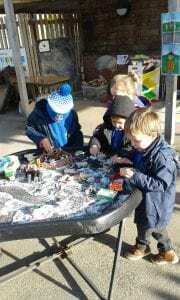 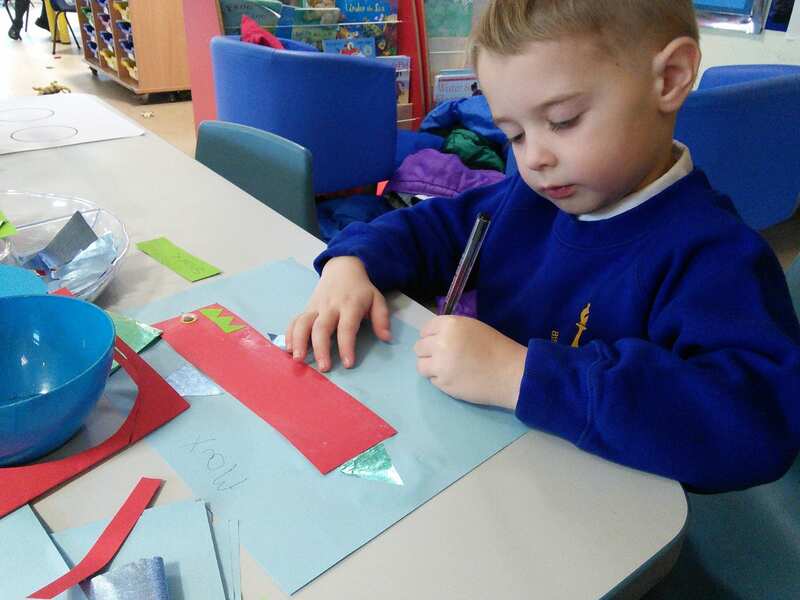 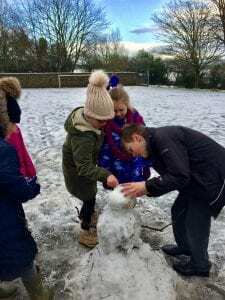 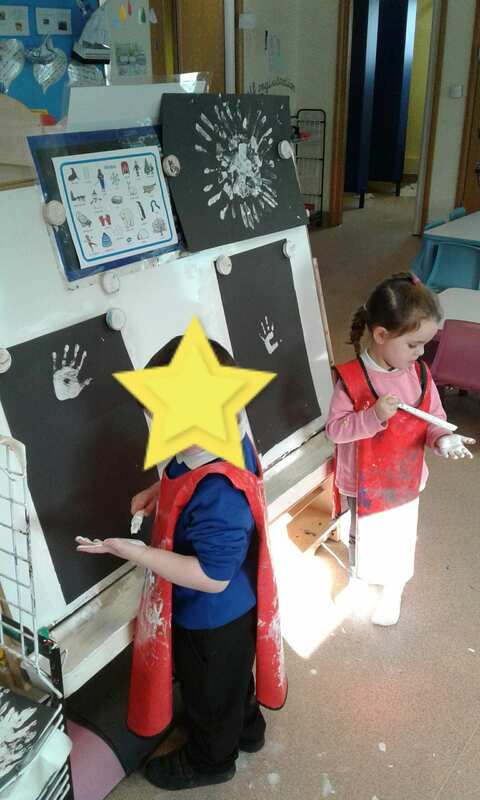 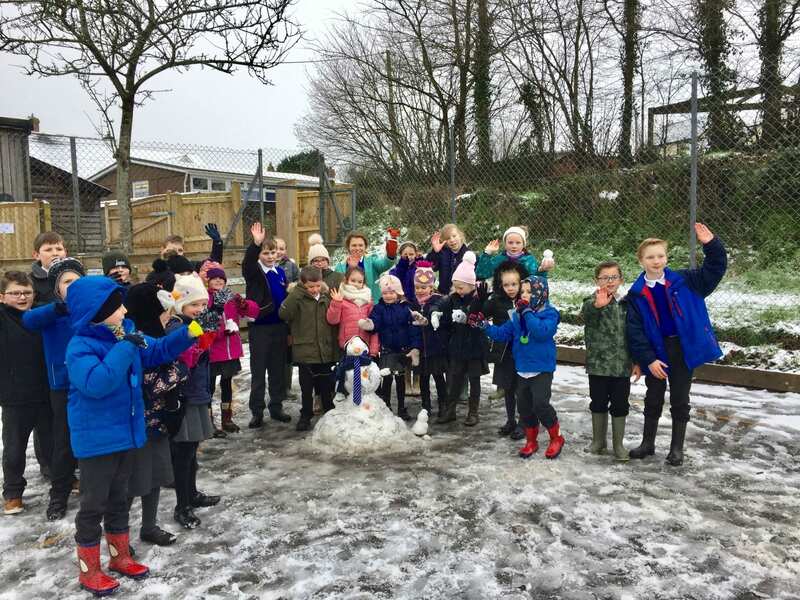 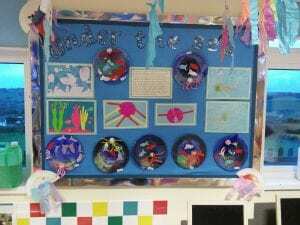 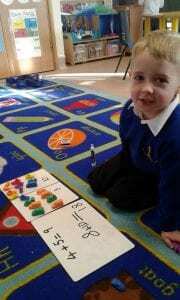 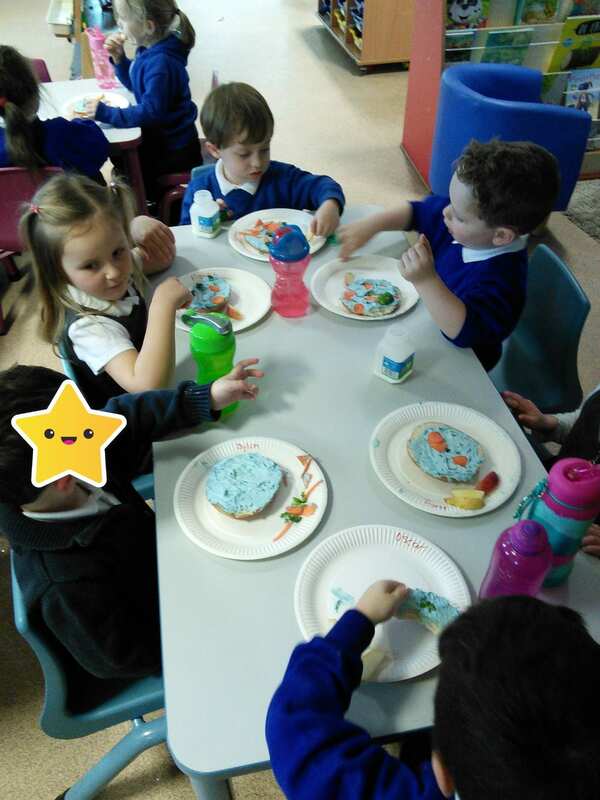 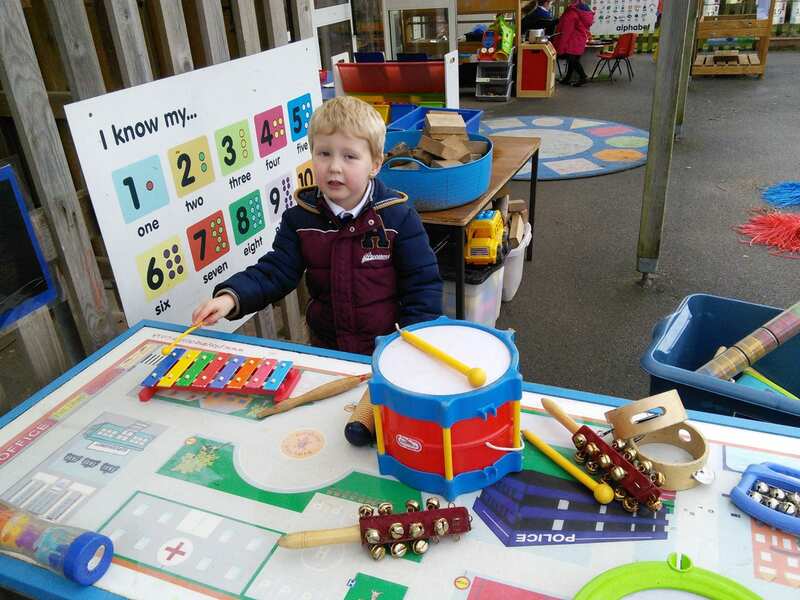 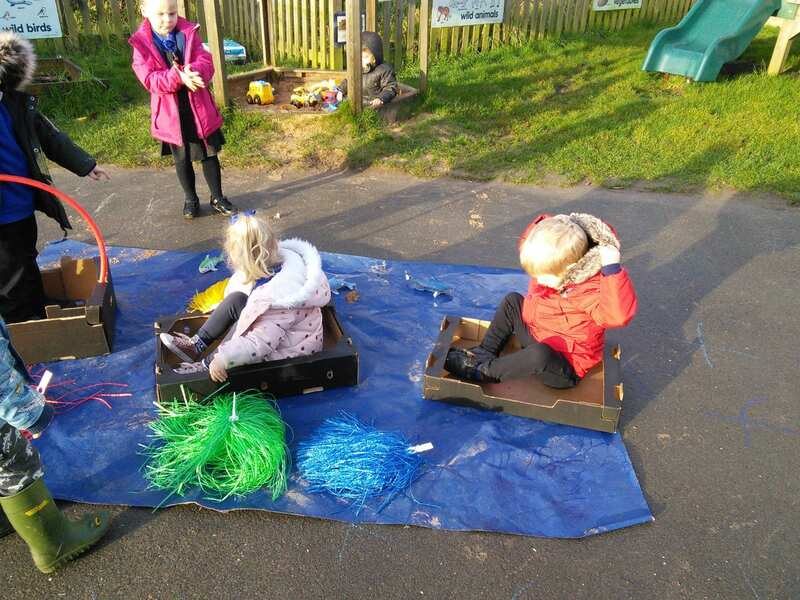 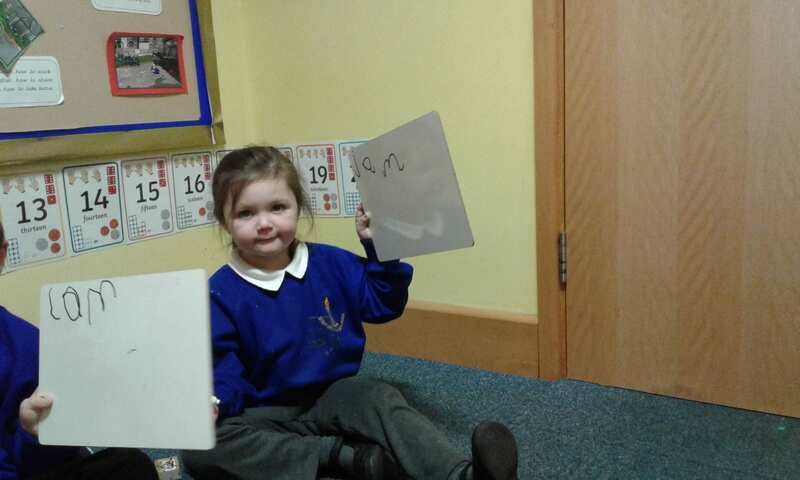 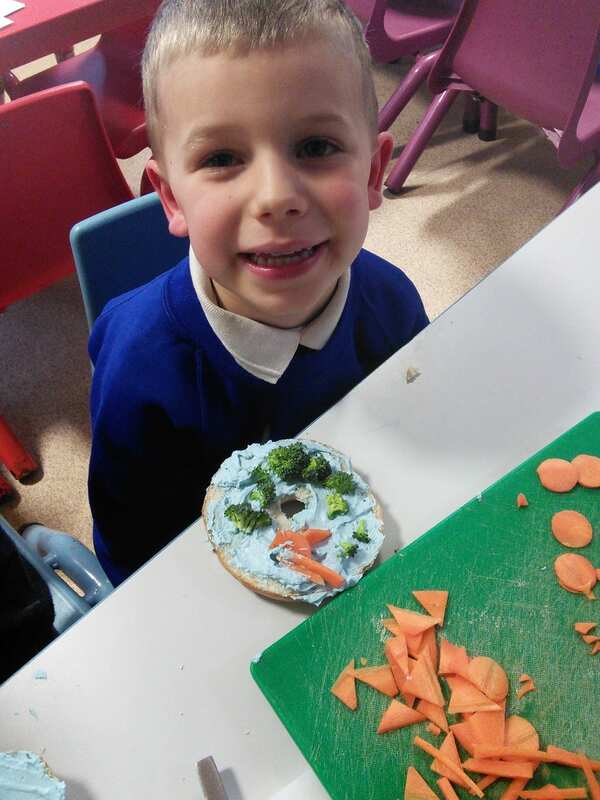 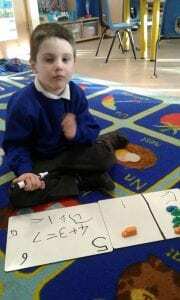 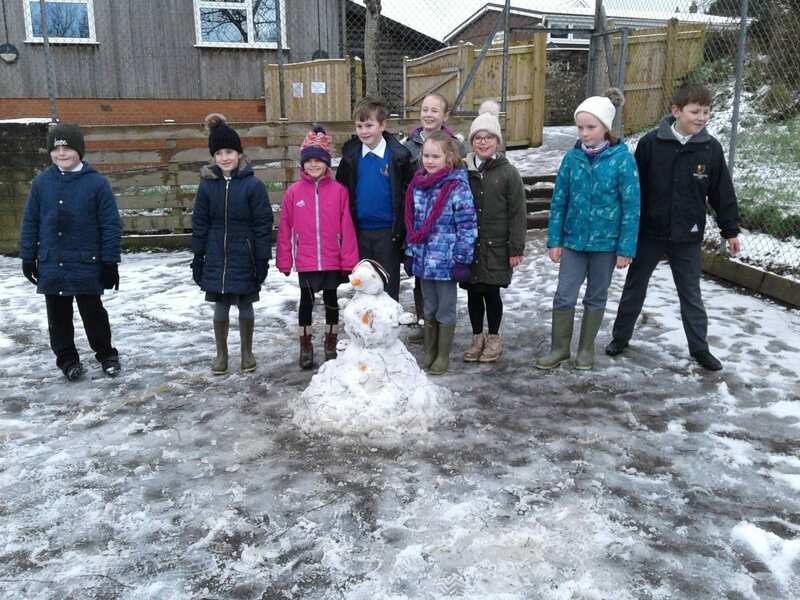 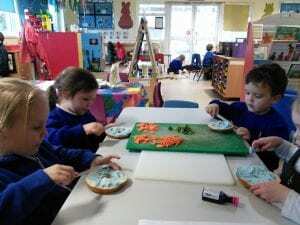 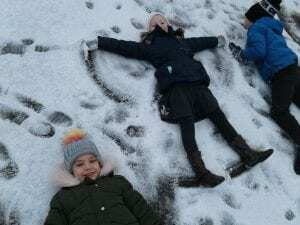 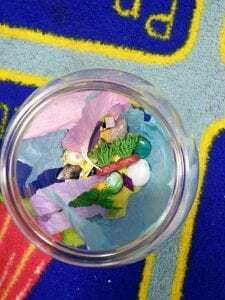 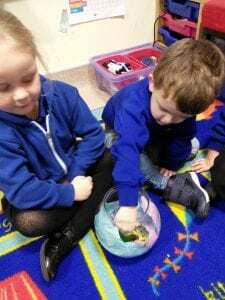 Class 1’s Snowy Winter Week! 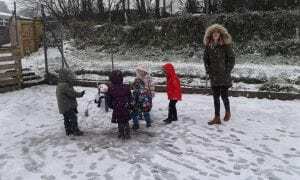 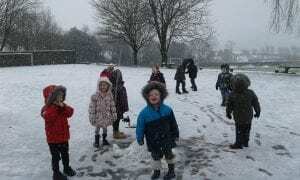 Class 1 were particularly pleased to see the snow today, as we are enjoying a week learning all about winter! Whereas on Monday we were feeding the animals in the fake snow, today we got out to enjoy some of the real stuff! 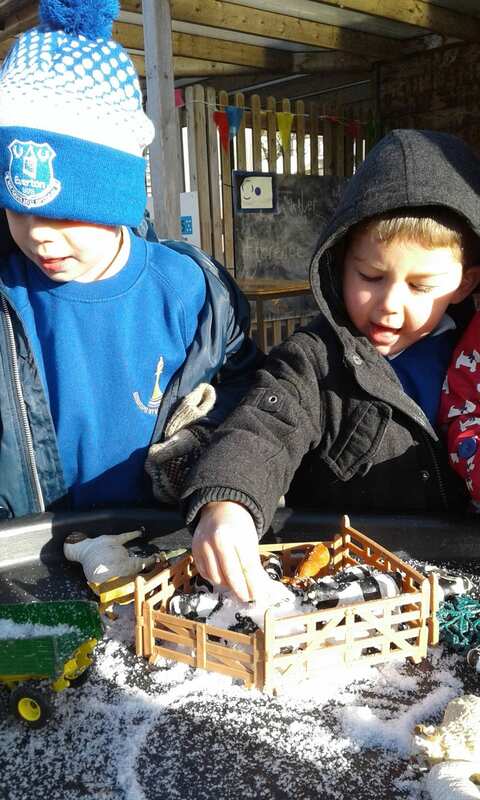 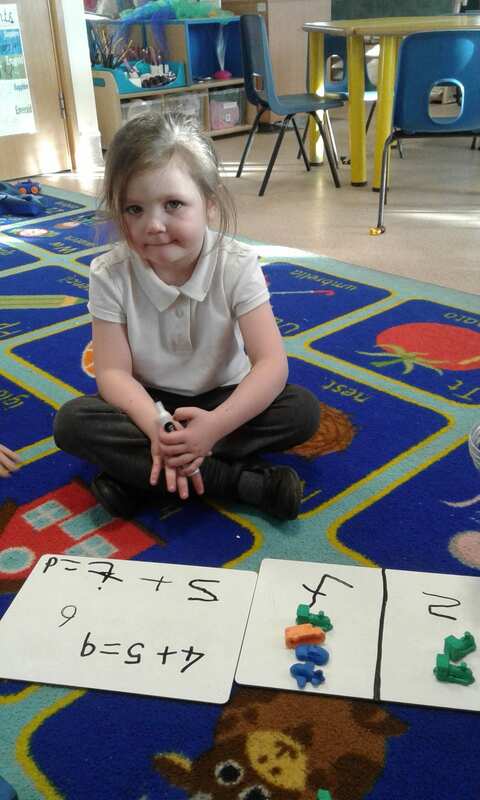 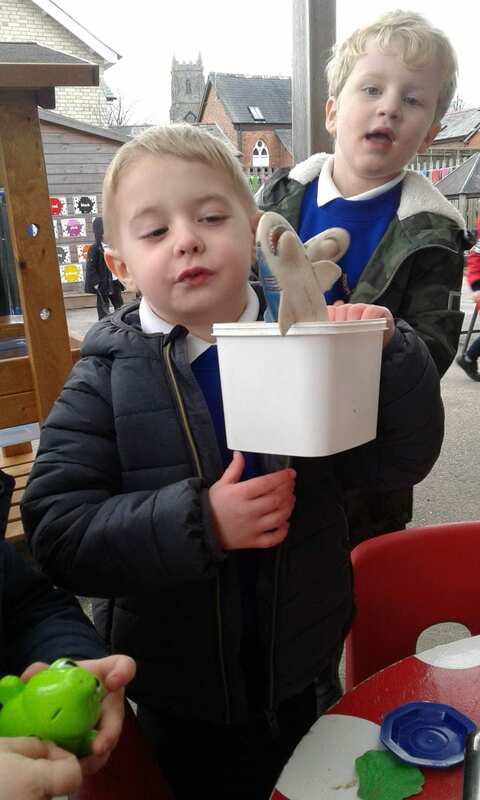 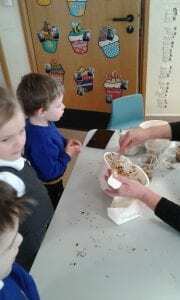 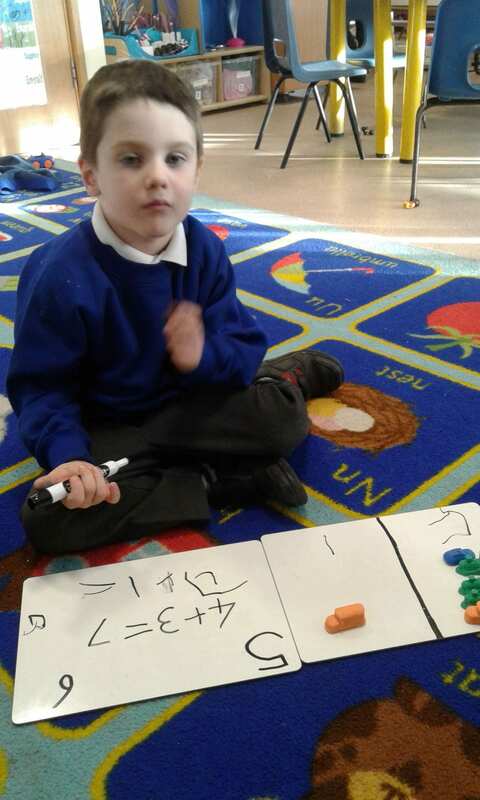 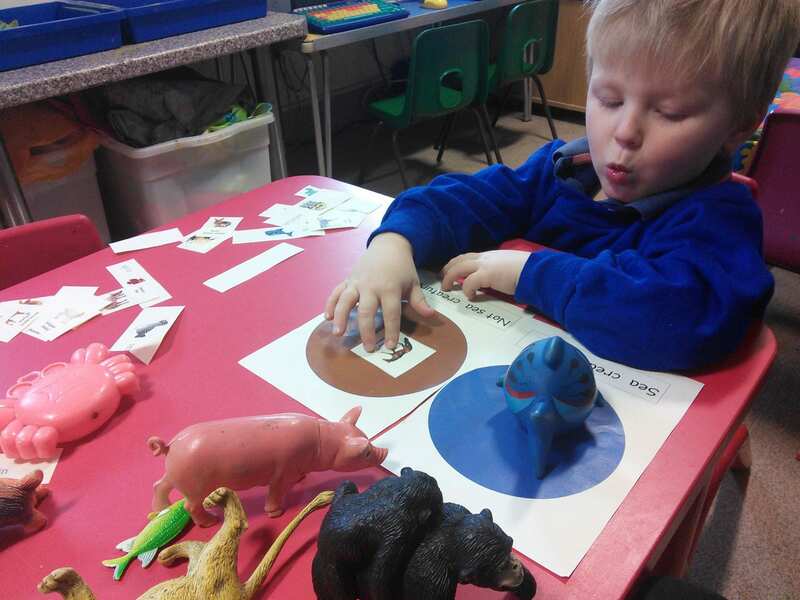 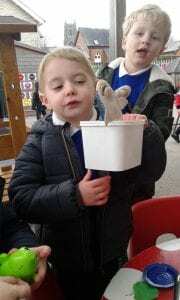 We have been learning why we have to feed the animals in the winter, both on farms and the birds in our garden. 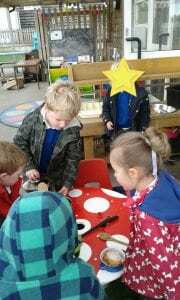 On Monday and Tuesday we made fat balls for the children to take home and hang in their own gardens for the birds. 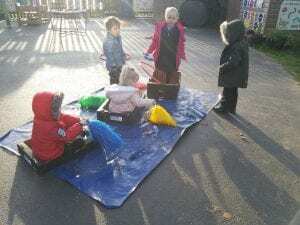 Then finally, today, the real snow came so we had to go outside and have a play!! 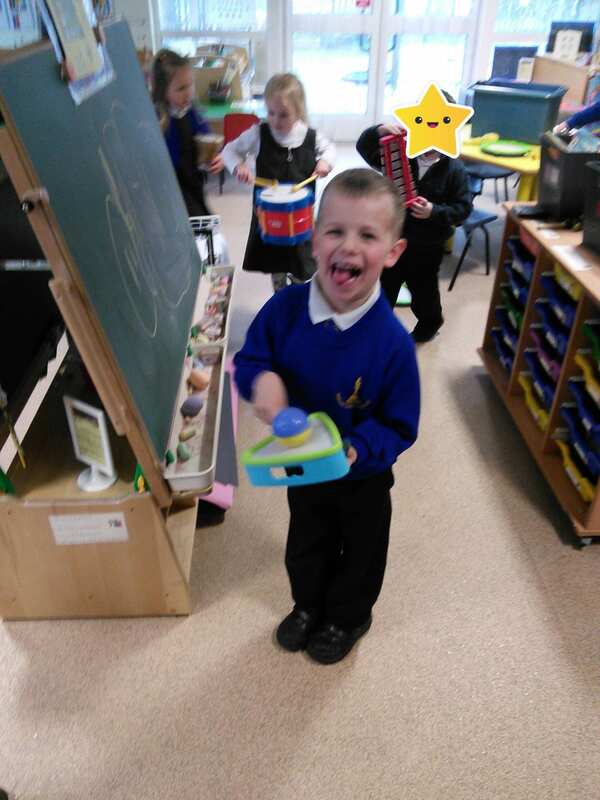 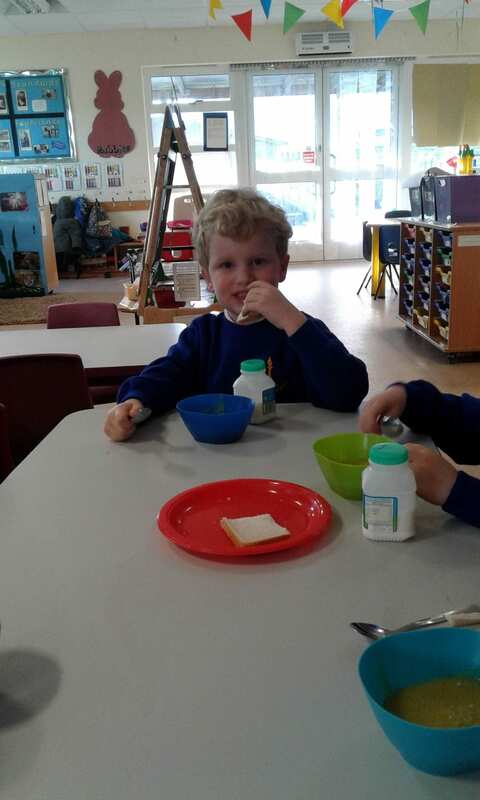 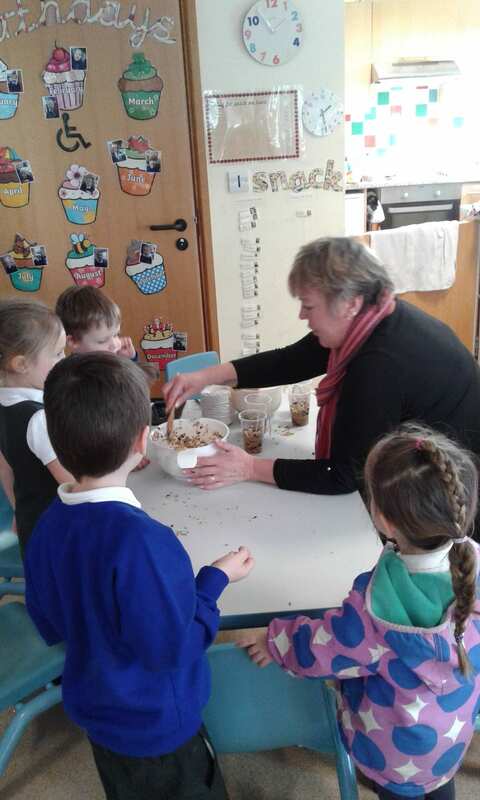 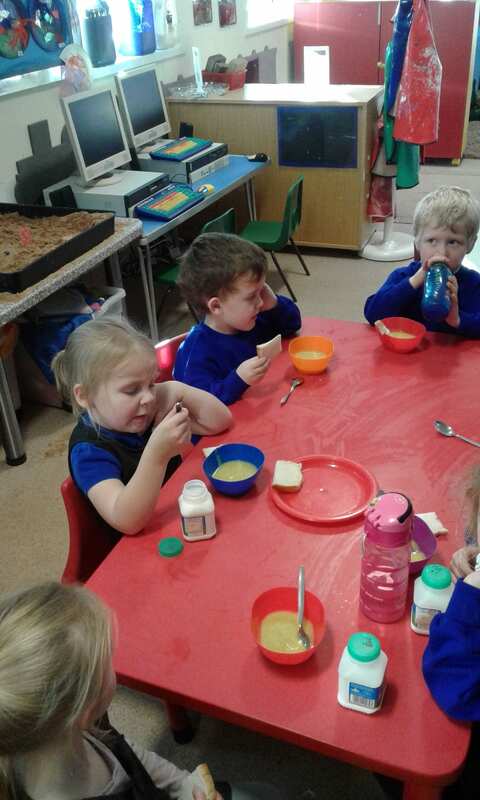 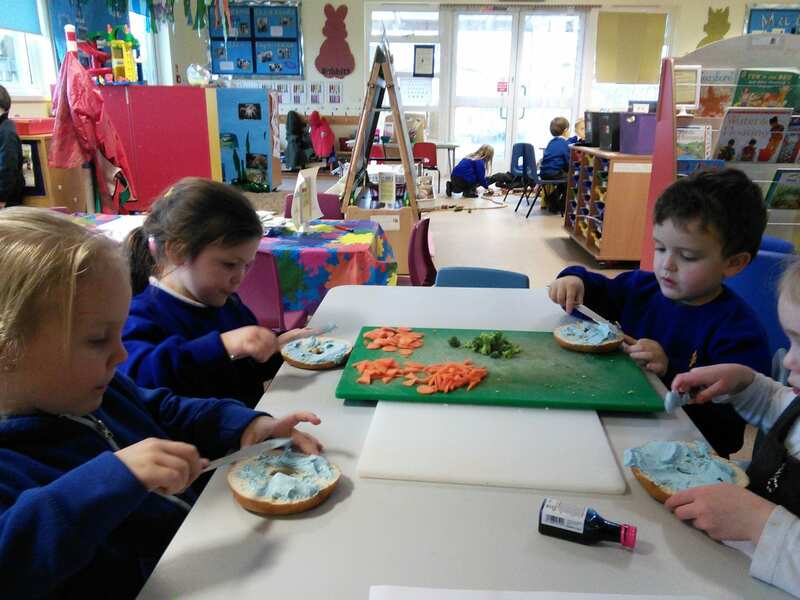 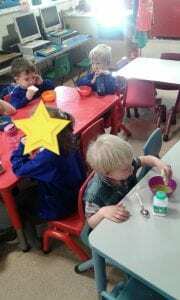 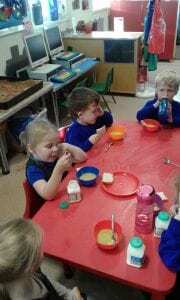 Then this afternoon we made some real soup from potatoes and leeks to warm ourselves up and we ate it for afternoon snack! 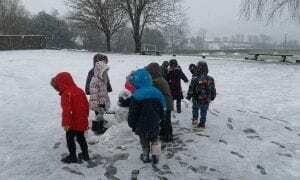 After what a somewhat tempestuous start to the day, we were keen and eager to rush into the untouched snow that lay pristine in the playground for some winter fun. 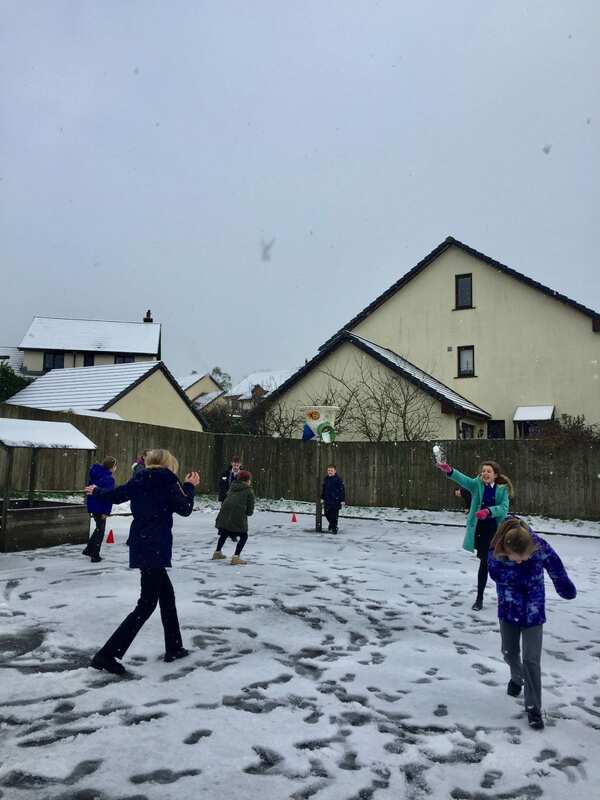 I can finally say I have defrosted after having snowballs launched at me! It doesn’t take much of the white stuff to send the children in to a frenzy. Who can resist popping out for a bit of frozen fun? 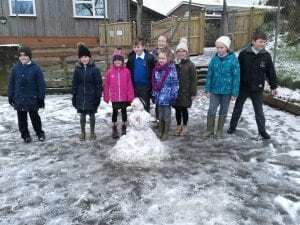 Well done to all, who managed to make it in -staff and children. Please take care on the roads tomorrow. 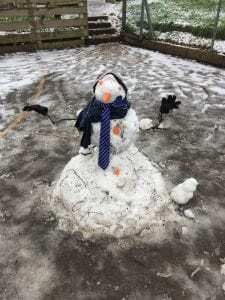 With more snow currently forecast for later in the afternoon, we will keep you up-to- date promptly, with end of day arrangements. 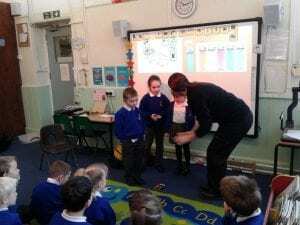 We were lucky enough to have a visit from the fire service. 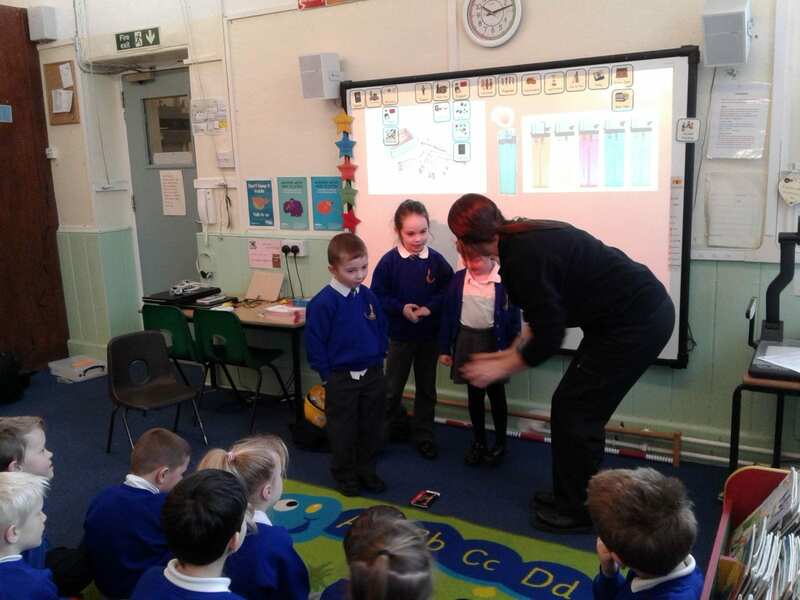 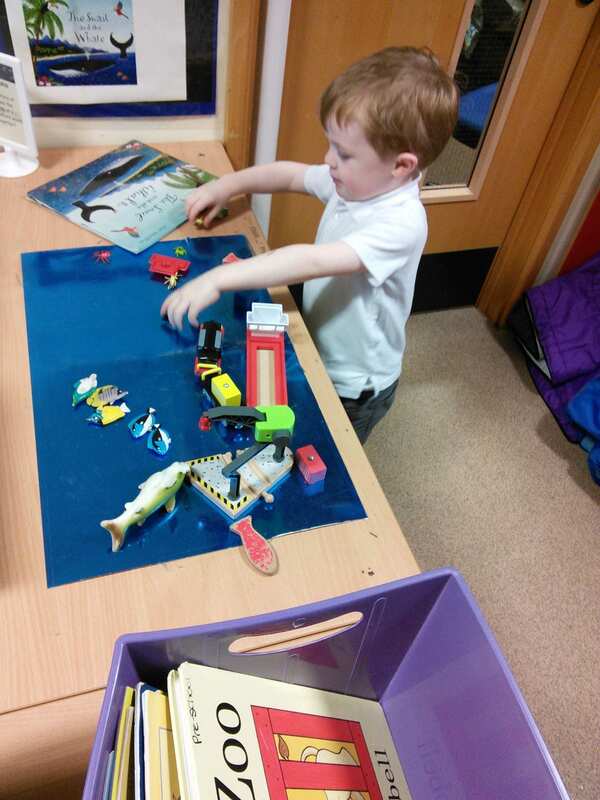 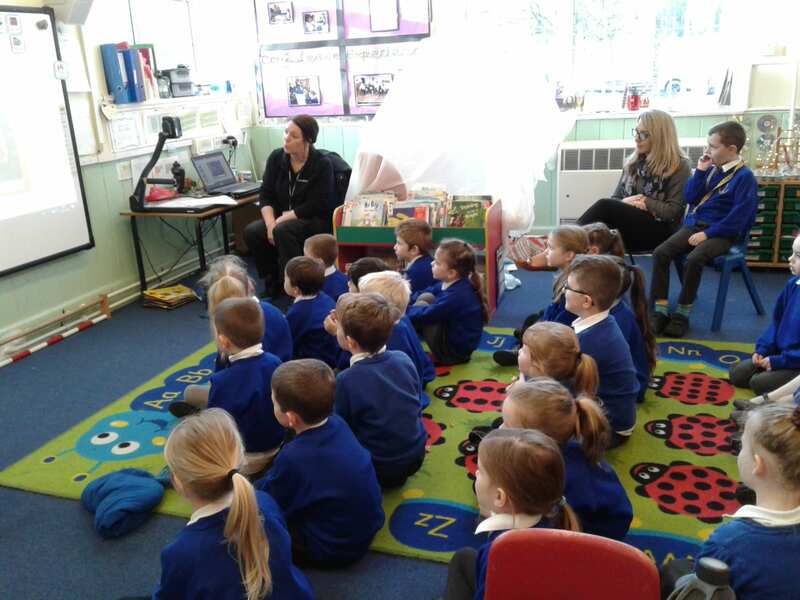 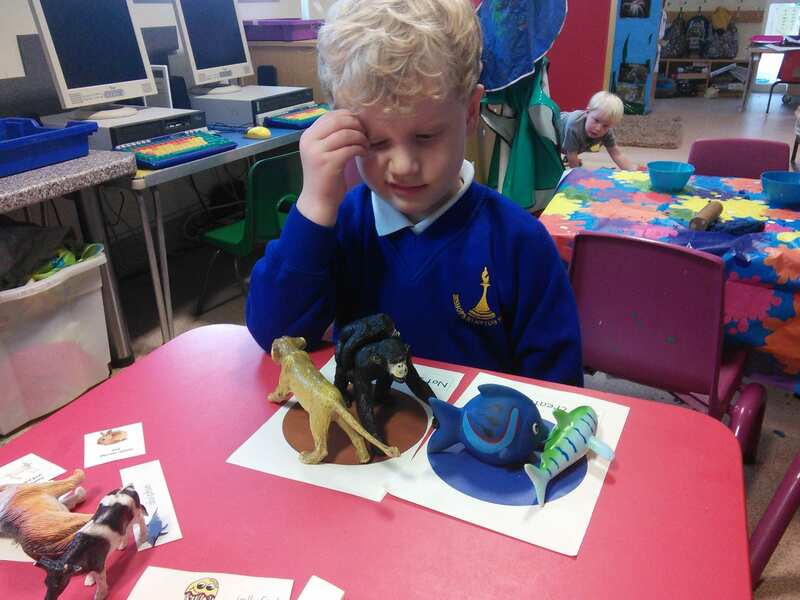 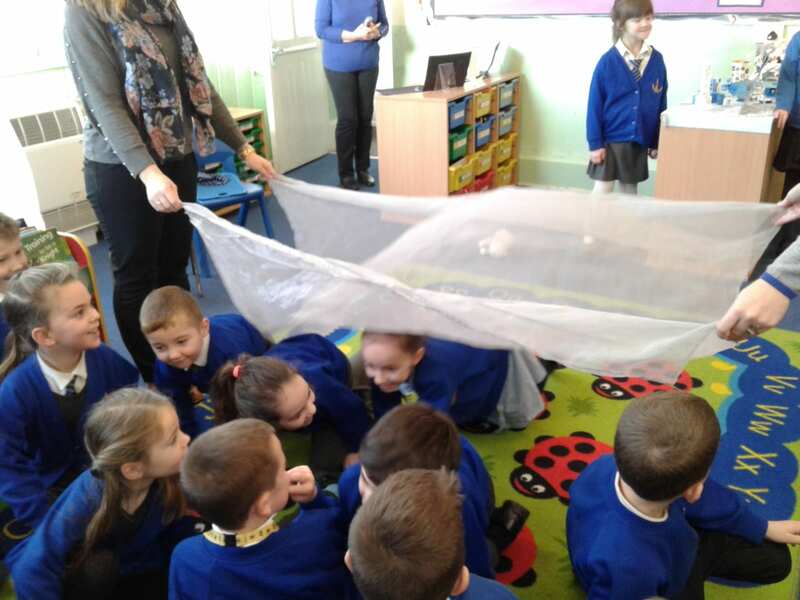 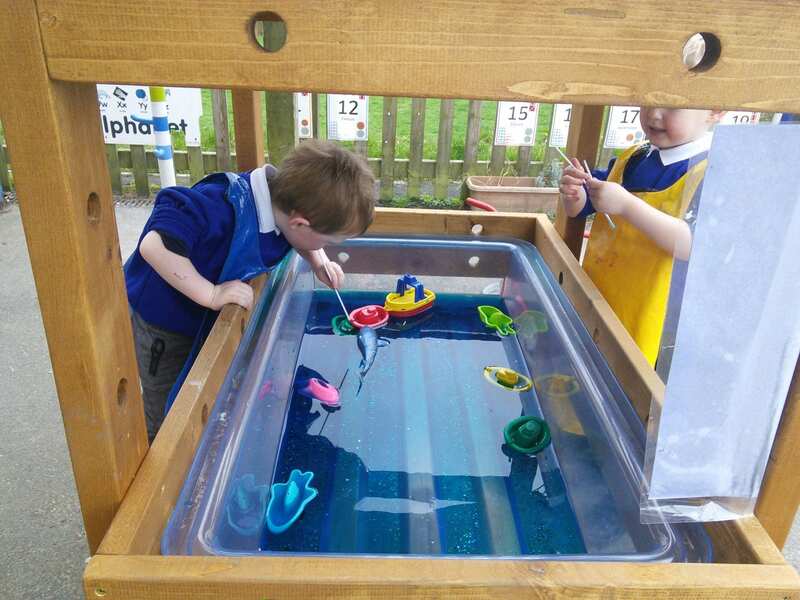 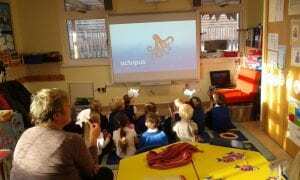 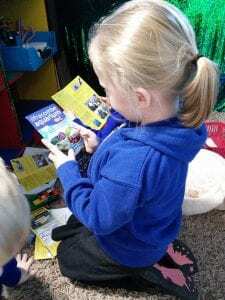 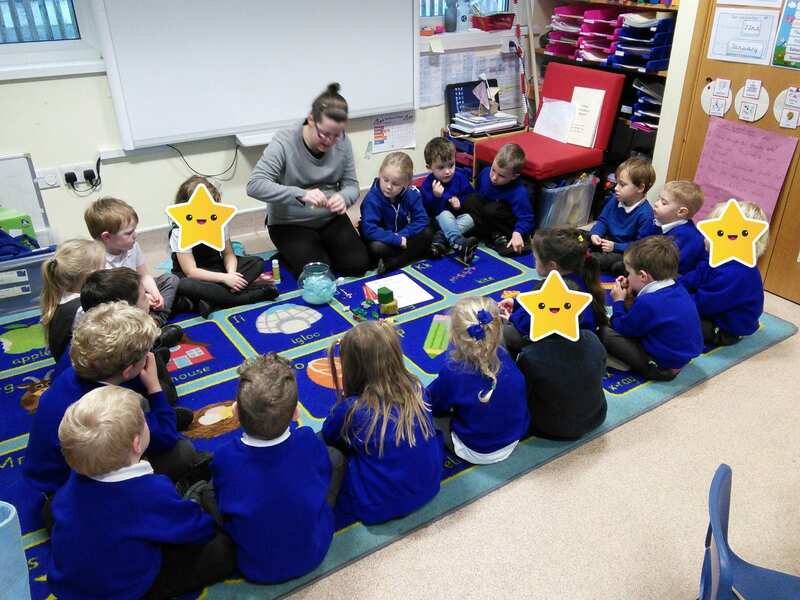 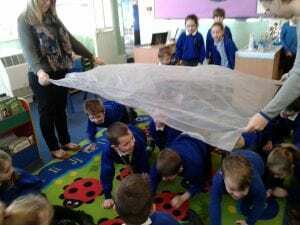 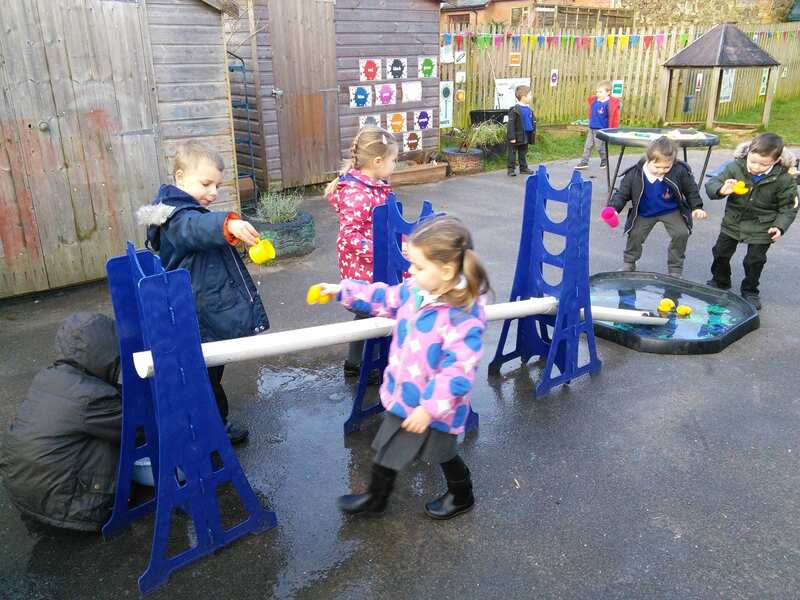 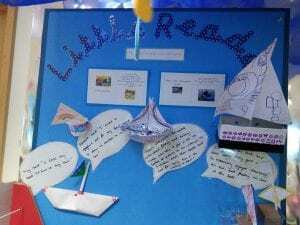 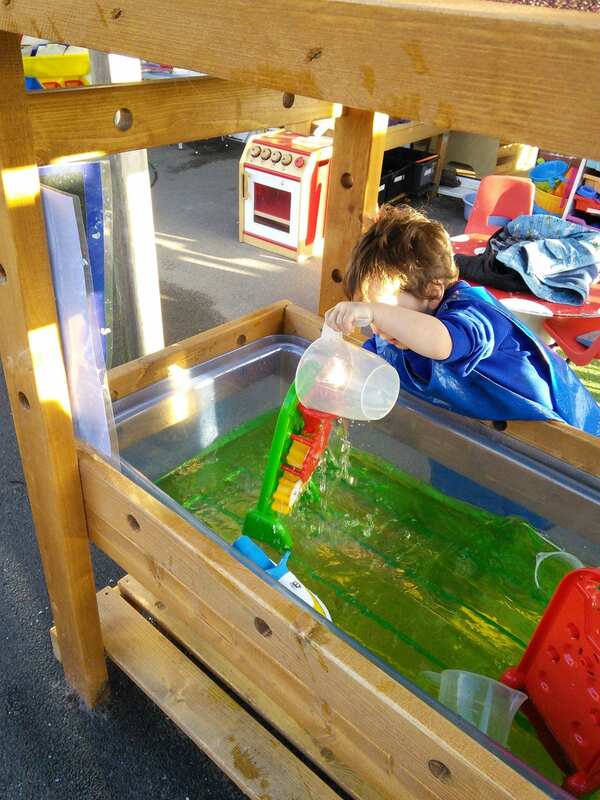 The children learnt about different types of hazards in everyday life and how to keep themselves safe. 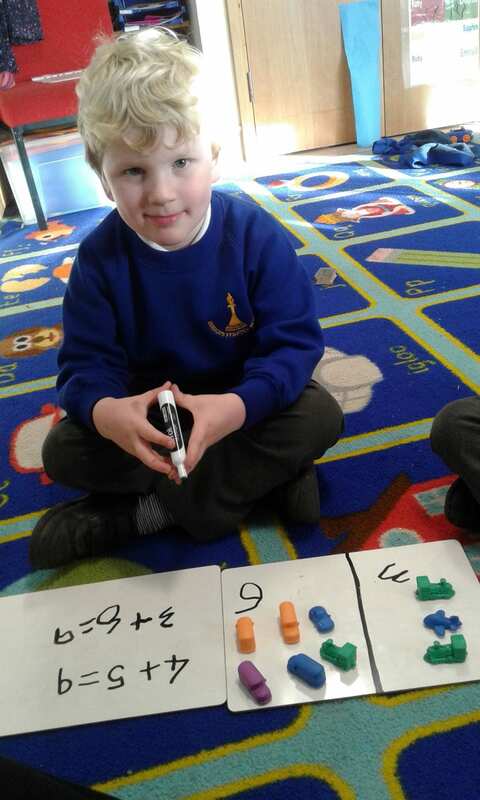 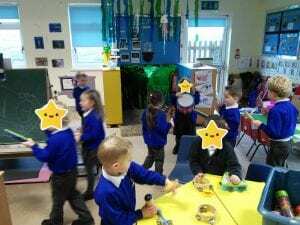 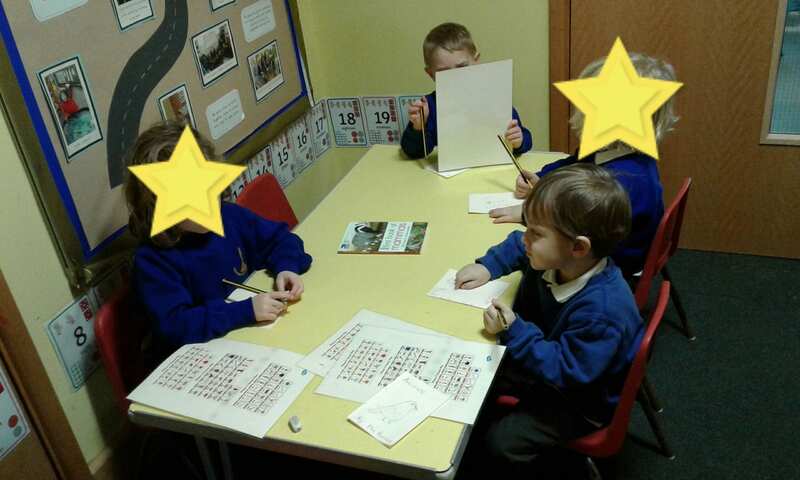 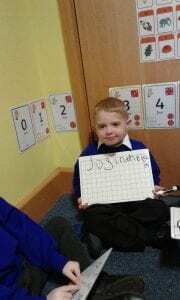 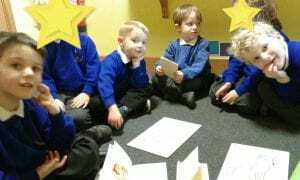 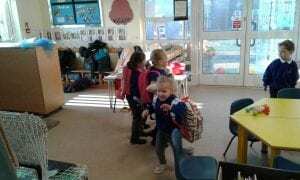 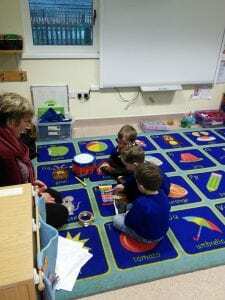 They had fun practising stop, drop and role. 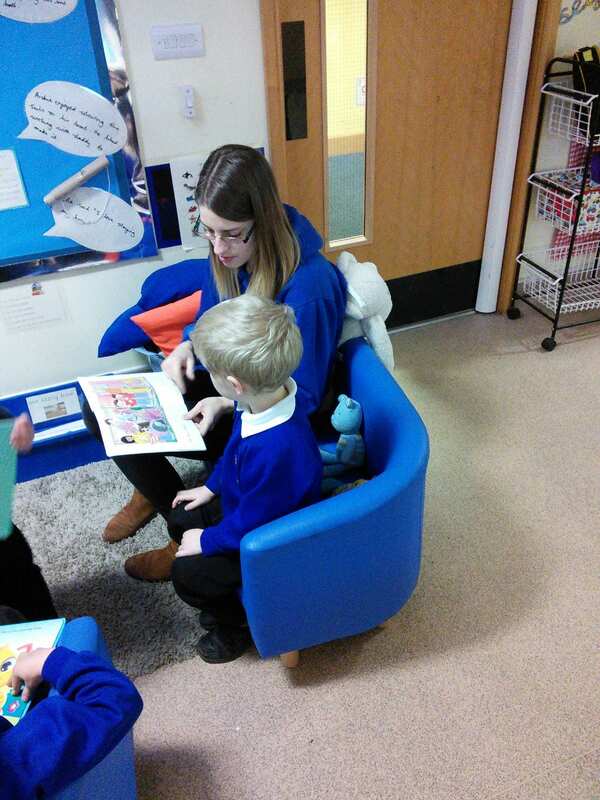 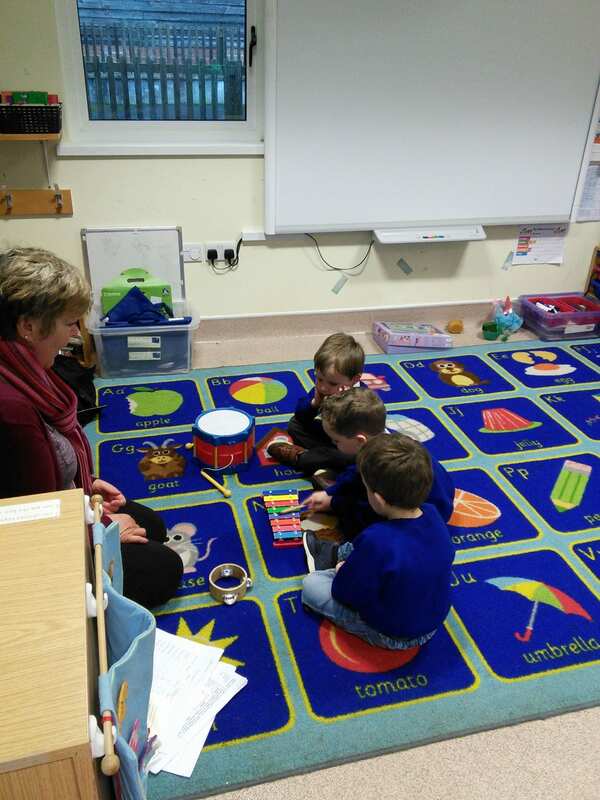 Please follow the link to view this week’s Newsletter.